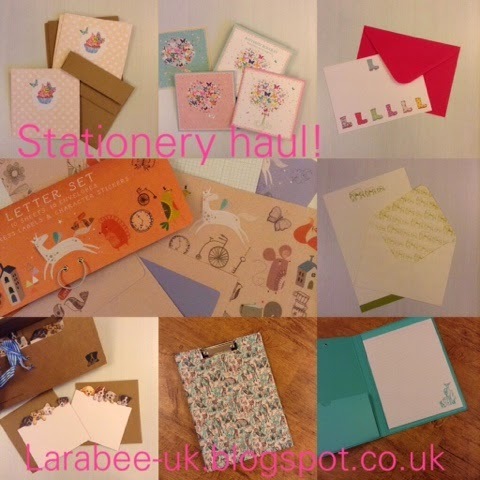 So, I'm kinda hoping that my fabulous #quailmail #postcircle penpals don't read my blog as most of this will be heading their way at some point over the next 6 months! Since Christmas, I've had 'stationery for pen pals' down on my gift wish list, The Hibs wasn't sure what I'd like, after 13 years of knowing me and 10 years together, I can't work out if that is tragic or not!!!!!! I also mentioned it to my MIL! Who said 'stationery? Like the blue Basildon bond pad you get from the post office?' Ummmmm maybe not. And Christmas came and no new stationery, Valentine's Day came, no pretty new paper, then my birthday, nada. Then Mother's Day no cute stationery for me to send, so I took matters into my own hands and went on a bit of a shopping spree! 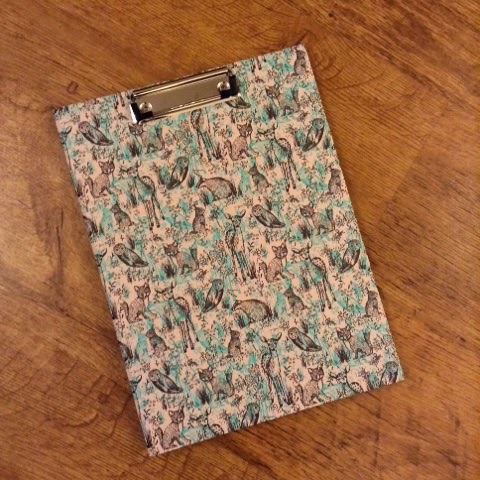 I needed a clipboard to put my social media plan on when 'working' so when I saw this it was straight in my basket. 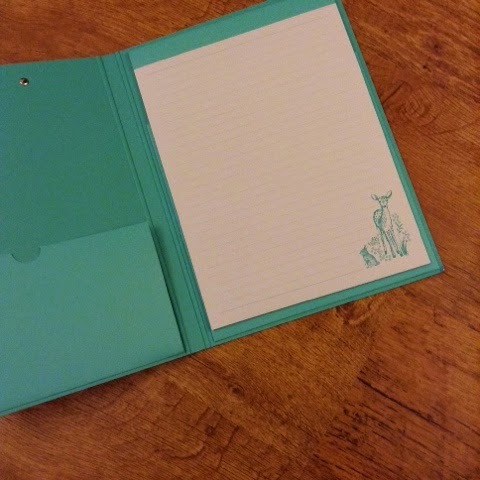 This is from paperchase, I think it was £4.50 in the sale, although I can't remember how much it originally was. This matches my blog diary so I HAD to have it! 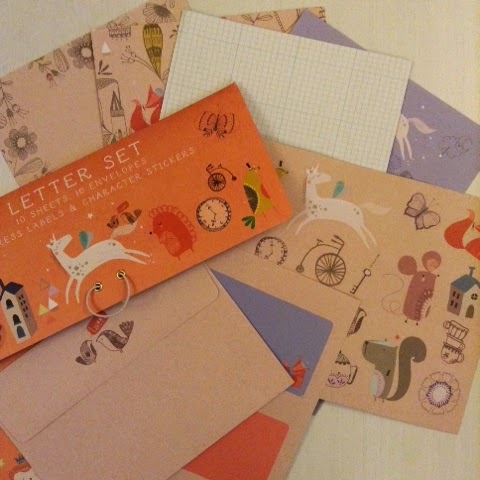 Whilst in paperchase I also picked up this cute letter set. I love the illustrations although it's been really hard keeping this away from T, he loved it and I did think at one point I'd have to sacrifice the stickers as 'collateral damage'!!! 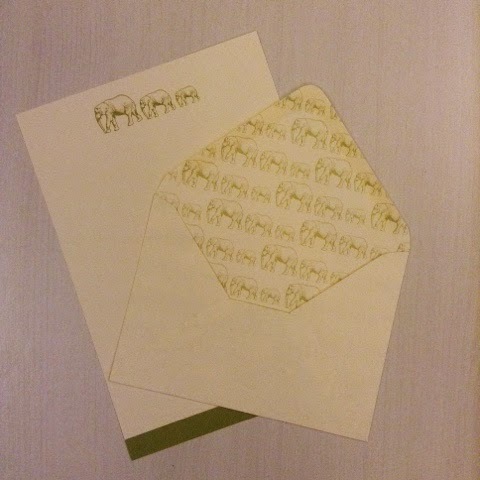 Next I went to John Lewis, I was actually a little disappointed by the selection there as there didn't seem much at all, I loved this elephant paper and envelope, my grandpa loved elephants we've both seen them on safari (different trips) and they were something we often talked about, they were his favourite animal. I know he'd have really appreciated this. 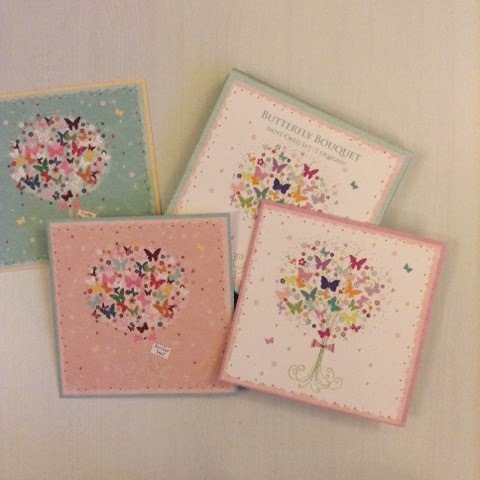 These lovely butterfly cards are also from Pheonix trading, I love these although I hadn't realised that the green design are actually 'thank you' cards. 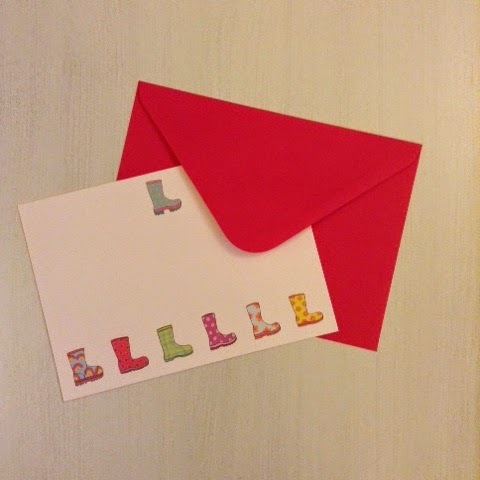 These gorgeous wellie postcards again, are from Pheonix trading, I really love these! Finally, I went to M&S to see what they had. 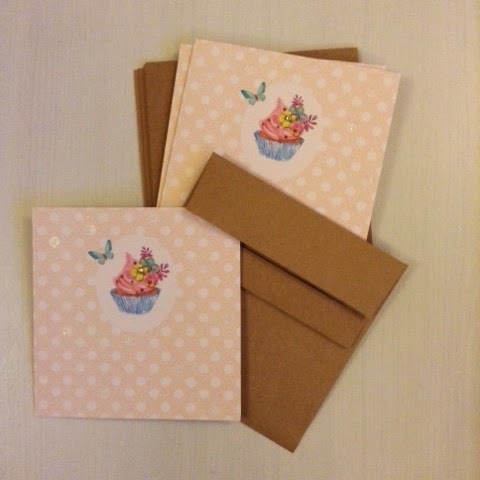 There wasn't much to be honest, but I did manage to get these cute cupcake cards. And that's about it! That should certainly keep me going for a while! 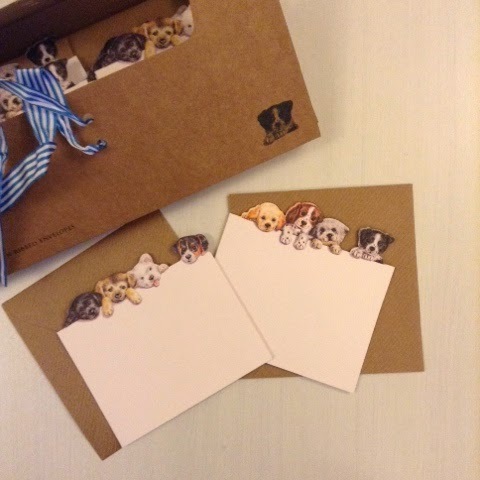 Remember if you'd like some of the puppy cards, leave me a comment below and we'll talk about I a stationery swap.